We don't just appreciate: we create. Creativity benefits from knowledge and experience, and one of our favorite ways to build our creative instincts is through our workshops. Our Floral Design Workshops give members the opportunity to learn the mechanical and artistic aspects in a social, supportive environment. Many of our most enthusiastic participants never even tried to make a floral arrangement before. Our Horticultural Workshops are designed to give us the expertise and confidence to ignore the myth of the "black thumb" and create beautiful, bountiful gardens. 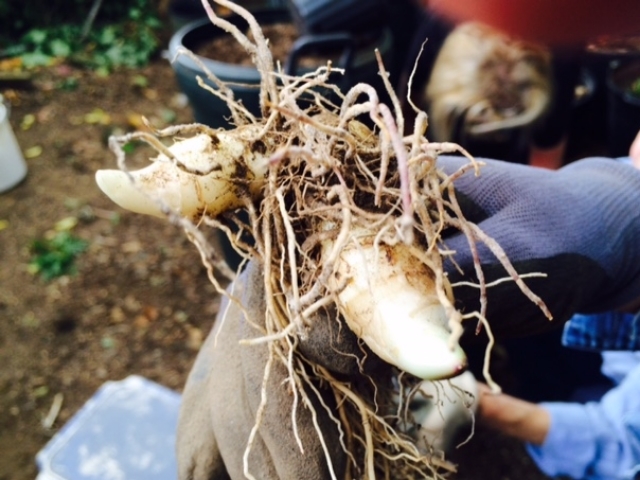 A large solomon's seal root ready to pot. This needs to be divided to fit in the pot. It will make two healthy plants that will bloom much more than they would if they were left in the ground. There is always more to compost. 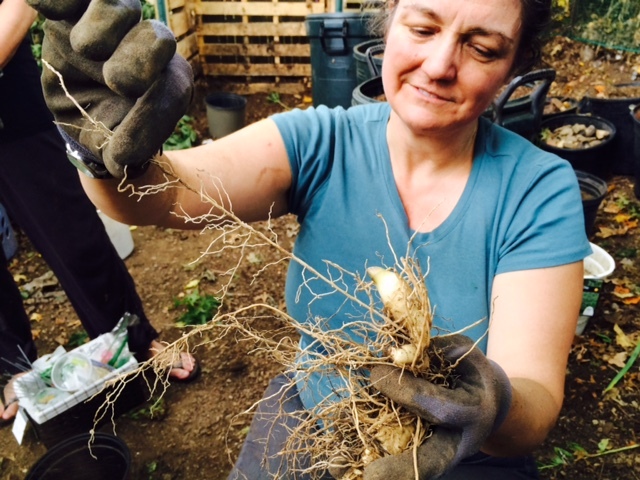 These roots are ready for a new home. 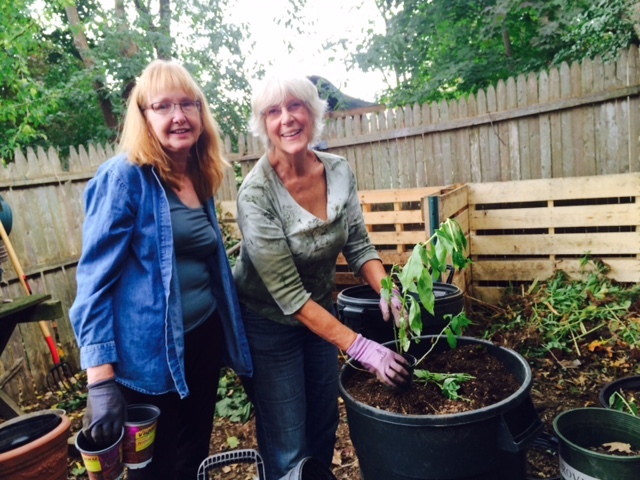 In this workshop, some members shared their enthusiasm for propagating new plants by perennial division. In addition to increasing the number of plants, dividing them makes them much more vigorous and encourages more flowering. It is easy to do, and a little hands on experience can make experts of all of us. 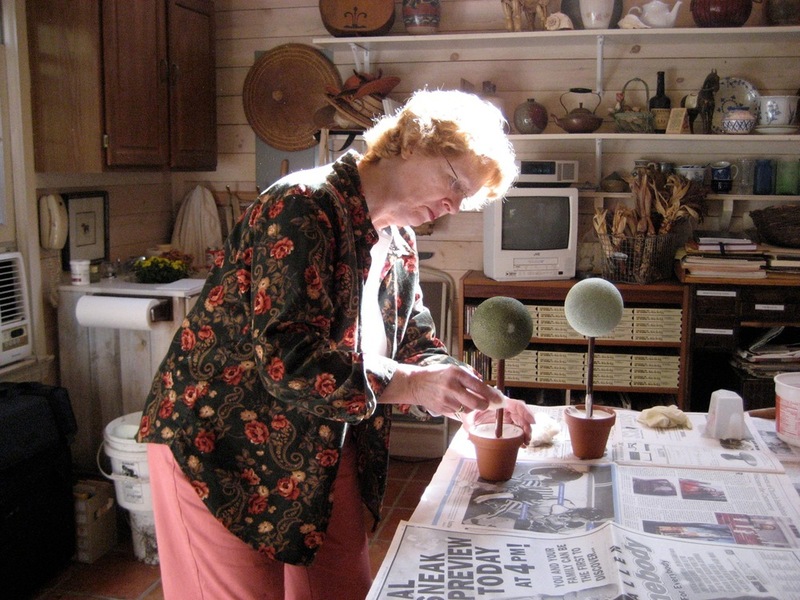 Before each meeting, we have a workshop at one of our member's homes to work on ideas for our floral designs. We learn about the different kinds of floral design and work out ideas and techniques. Many of our most enthusiastic and accomplished designers were complete novices when they attended their first workshop.